So I’m writing a book. Yes indeed. A couple actually. One is for my MFA program; the other is for a small publisher. Both are about editing–one more in a memoir-esque fashion, the other more like a textbook, something I want to use in my future editing classes. In the process of putting together my proposal, I needed to check out books similar to mine. As I ordered books online and checked them out from the local library, I fell in love with some of them–the voice, the humor, the helps, the advice, the exercises. So I thought I’d pass along to you some of my favorites. If you want to learn about editing or want to work more on being your own self-editor, you might check into some of these excellent resources. The great thing about reading books about editing is that you really get a double-whammy–you are also studying how to be a better writer, the kind of writer editors dream about! Copyediting & Proofreading for Dummies, Suzanne Gilad. Wiley Publishing, Inc., 2007. I’ve used this book in my editing class since 2010 when I first began teaching. The book does an excellent job of being very introductory, has exercises for practice, and incorporates vocabulary. It’s also the only book I could find that gives a clear delineation between copyediting and proofreading. It includes practice exercises, proofreading marks, and publishing vocabulary. 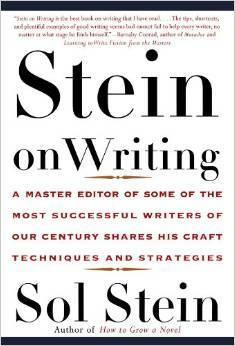 Stein on Writing: A Master Editor of Some of the Most Successful Writers of Our Century Shares His Craft Techniques and Strategies, Sol Stein. St. Martin’s Press, 1995. I wrote more about this book in this post, so you can check it out there. Suffice it to say that this is one of those books that really will help you ask the right questions as you work on your own writing. He also offers advice to both fiction and nonfiction writers. The Artful Edit: On the Practice of Editing Yourself, Susan Bell. W. W. Norton & Company, 2007. Bell takes on the topic of editing yourself (and, by extension, others). She covers what she calls Macro-Editing and Micro-Editing. I love that she uses several pages working from information in Scott Berg’s book about Maxwell Perkins to discuss the editing process—and how Fitzgerald edited The Great Gatsby from Perkins’s advice. In between are testimonies from various authors about their editors. She discusses the history of editing–which is quite fascinating. Thanks, But This Isn’t for Us: A (Sort of) Compassionate Guide to Why Your Writing is Being Rejected, Jessica Page Morrell. Jeremy P. Tarcher/Penguin, 2009. 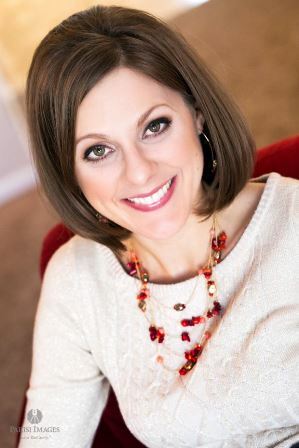 Morrell talks about her experience as a developmental editor, includes chapters that focus on the various elements of good writing (plot, suspense, characterization, stories, etc. ), and teaches with anecdotes and examples. Her focus is on helping writers write better so that they can avoid getting rejected for the most common reasons that manuscripts get rejected. The Editor’s Companion: An Indispensable Guide to Editing Books, Magazines, Online Publications, and More. Steve Dunham. Writer’s Digest Books, 2014. The Forest for the Trees: An Editor’s Advice to Writers, Betsy Lerner, Putnam, 2010. I also wrote about this one in a blog post. Lerner describes some general types of writers and then peeks behind the editor’s desk and into the publishing world. If you want an idea of what goes on in the editing world at a publishing house, this is a great book. On Writing Well: The Classic Guide to Writing Nonfiction, William Zinsser, Harper Perennial, 2016. No list of books would be complete without this little gem. If you often write nonfiction, this little guide offers everything you need to “write well.” We lost Zinsser in 2015, but his legacy lives on. 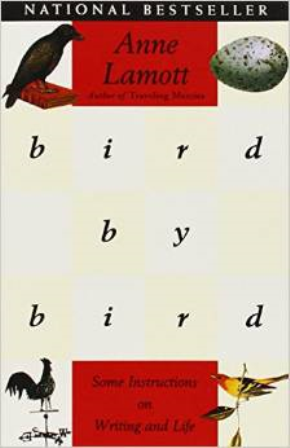 I wrote more about this book in this post. Of course, every copy editor should have style manuals (Chicago Manual of Style or an AP Style Guide). I’m sure I’m missing a few. If you’re an editor or interested in editing, what books have you read that you’ve found most helpful? When I teach my editing class, I always like to begin early with an exercise. The entire class becomes a publishing company, and we walk a manuscript through the process. 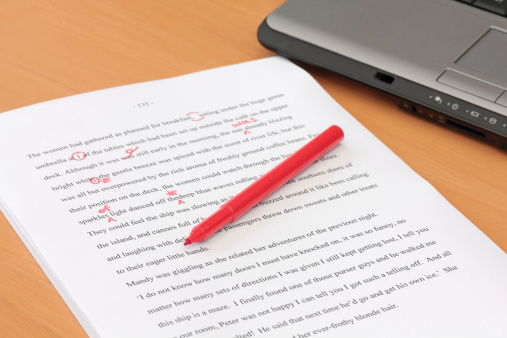 Since I teach my students about content editing, copyediting, and proofreading, I want them to understand where those steps fall in the process of a book going from the author to the shelves. 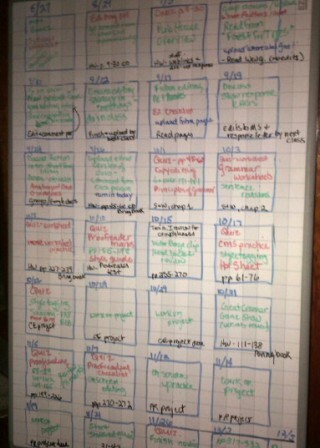 I usually have about 15 students in my class and I print different jobs onto index cards. They each draw a card, and we then move all the desks and sit in a circle. First order of business, we decide on a name for our company. 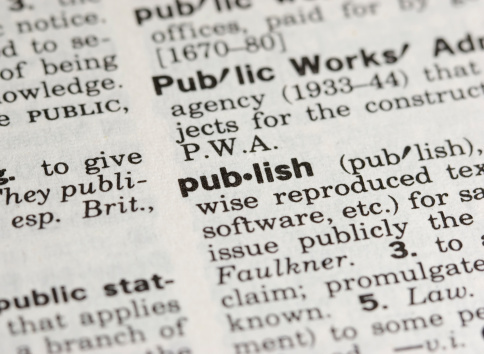 We usually end up with something like “Sleepy Sloth Publishing” or “Little Turtles Publishing”–for some reason the name often has an animal theme. Then we talk through each step, and the person holding the card is to play that role and ask the questions he/she thinks would be asked in this part of the book process. (1) Author–Whoever gets this card needs to determine what his or her book is about and give it a title. 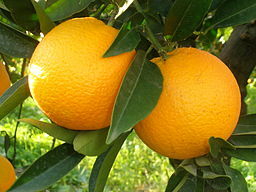 One time I had “The History of the Orange”–a nonfiction book about . . . oranges. That’s what we’ll go with for the purposes of this post. A young man gets the author card and wants to write about oranges. I explain that all of this information is important for the AE to take back to the publishing house. Just because the AE likes it only means the book has passed the first hurdle. The AE now needs to sell the idea to the pub board (publishing board). (4) CFO (as part of pub board)–Numbers guy. What does he ask? Will the book need any special treatments (is it going to have color pictures throughout–that will affect the cost of the printing and paper). What is the advance to the author? How many books will be in the first print run? What should be the selling price? A pro forma helps to then determine if and how the book can make money for the publishing house. (5) Salesman (as part of pub board)–There actually may be several–the Amazon person, the big box store person, the independent bookstore person. But they all have the same question–especially with unknown authors. What kind of platform does the author have? (Author answers that he has 10,000 followers on Twitter and a blog and newsletter all about oranges with 20,000 subscribers.) The salespeople are impressed since they know that this author can get the word out about his book and get a following. So I tell the group to assume that the book has passed this hurdle and is cleared to be published. Next will come the AE calling the author, the author rejoicing (little dance), the arrival of the contract and hopefully the advance check. Next, the author must finish the book by a particular due date. (7) Designer–The editorial director will get the designer started on interior and cover designs. These take time (and the designer has other projects as well), so getting him started now is important. What does the designer need to know? My student with the “Designer” card wonders about how big the book is (trim size and page count), whether or not there are photos and are they black/white or color, and the target audience and tone. The designer creates a template (often in InDesign) into which the typesetter will flow the Word document manuscript. (9) Copyeditor–Again, I discuss what this means in above linked post. The copyeditor fact checks, reads for clarity, queries as needed, makes the manuscript follow house style guidelines, and generally tries to make the manuscript readable and clean. (10) Editorial assistant–This may even be an intern–or this person may not exist at all in a small house. But the copyeditor needs someone to help with taking the copyedited manuscript and creating the front matter (title page, copyright page, Table of Contents, dedication page, etc.) and making sure the back matter pieces are in place (appendix, index, endnotes). (11) Typesetter/Compositor–The typesetter receives the manuscript from editorial and the book’s design template from the designer and puts them together. What does he need to know? He needs to know the page count, whether all of the chapters have to start on recto (right) pages or if they can also start verso (left), what is to be in the running heads, does the book start at page 1 or are there roman numerals in the front matter? If there are photos, he’ll need to have those (in separate files such as gif or bmp) and know where to place them. He lays out the pages to avoid widows and orphans (single words or short lines standing alone at the top or bottom of a page). (12) Proofreader–Again, I discuss this further here. The proofreader takes the pdf of the typeset pages–meaning this is exactly how the book will appear. My proofreader checks the Table of Contents and adds page numbers as they appear in the book, and then he reads every word carefully. (13) Printer–The final completed pdf is uploaded to the printer. Hopefully the date it arrives is the same date the editorial director put on the calendar months earlier. The printer sets press time for each book, and that’s why it is so important to never be late. The printer is given the poundage of the paper (for instance, much higher weight if this book is full of color photos so the pages can handle the ink, as opposed to a straight text book). (14) Bookstore owner–This person needs to know why she should purchase the book to sell in her store. Fortunately, she loves this publishing company, the salesman has made a compelling case, and so she orders several to sell. (15) Agent–Because the book has become a best-seller, this agent comes knocking hoping to represent the author in his next great work–and the cycle begins again. My students come away from this little exercise with more understanding of how what they learn to do as editors fits in to the entire process of creating a book. Soooo, it has been a long couple of weeks–fraught with some big decisions and some awful realizations and some editing surprises and some amazing help from above. Suffice it to say, I’m getting myself back in the saddle, so to speak, when it comes to blogging. My Editing class is right now in the middle of learning the art of copyediting, and so this post is extremely helpful in letting them know that, yes, their humble teacher does indeed know whereof she speaks. This, my friends, is what copy-editors do.